Here it is, finally. 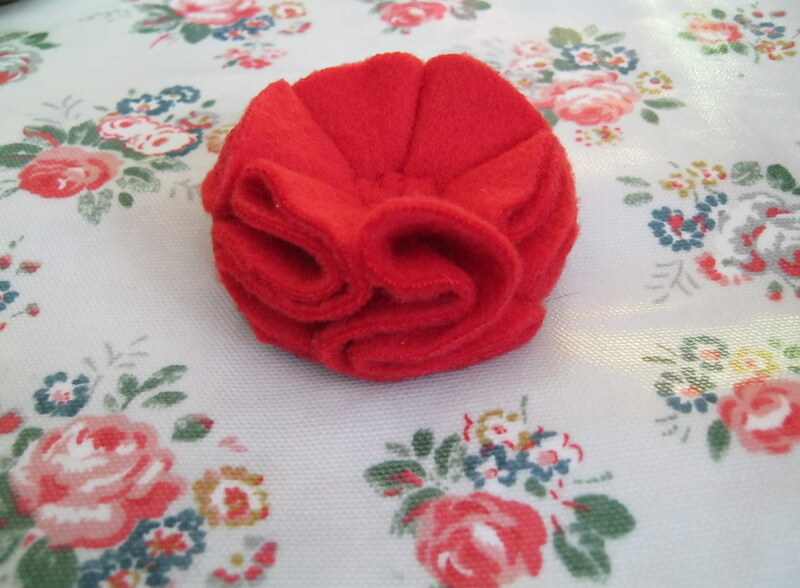 I said that I would talk you through how I created the flowers for my Poppy Bags. 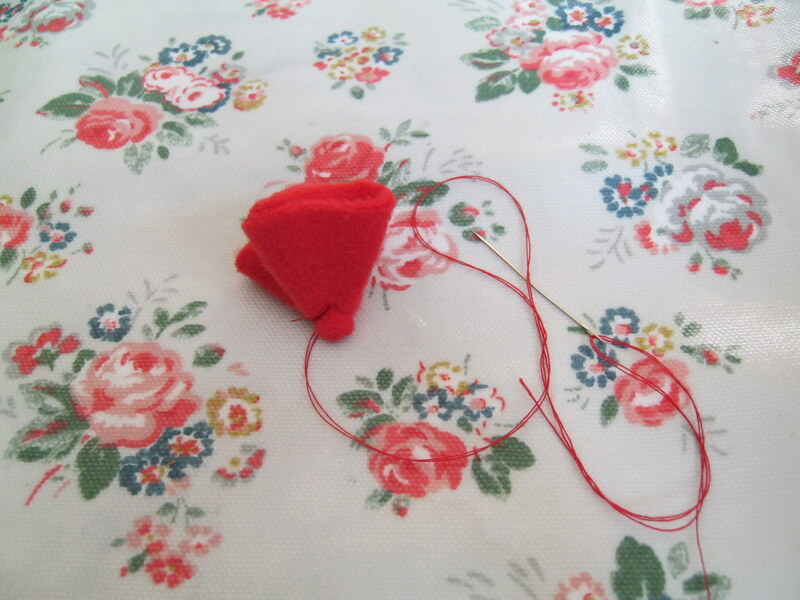 I have been a busy little bee making many more Poppies for my Bags (last week I had to cut out 90 circles, it took quite a while!). 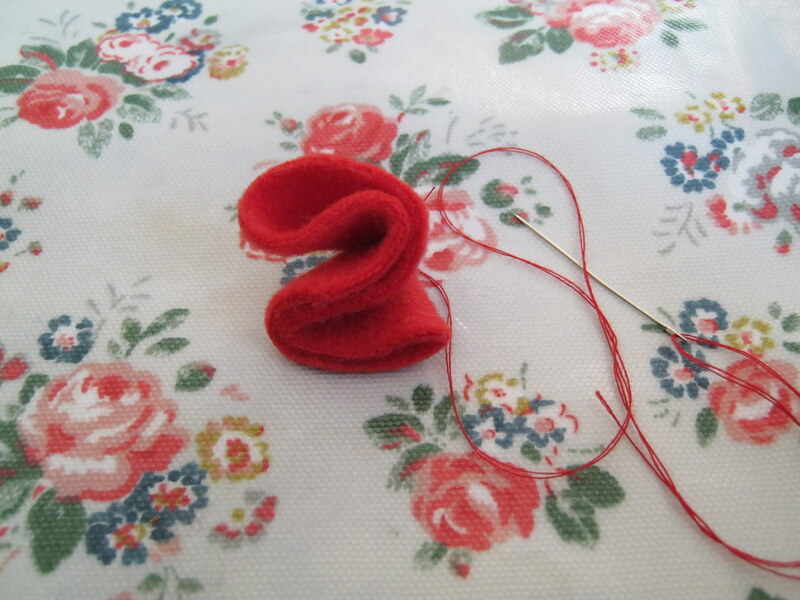 But the good news for you is that I managed to take enough pictures to write a couple of quick tutorials. There are two types of flowers, so here’s the first one, and you’ll have to wait until tomorrow to get the second one! This is the one we’re going to make today. 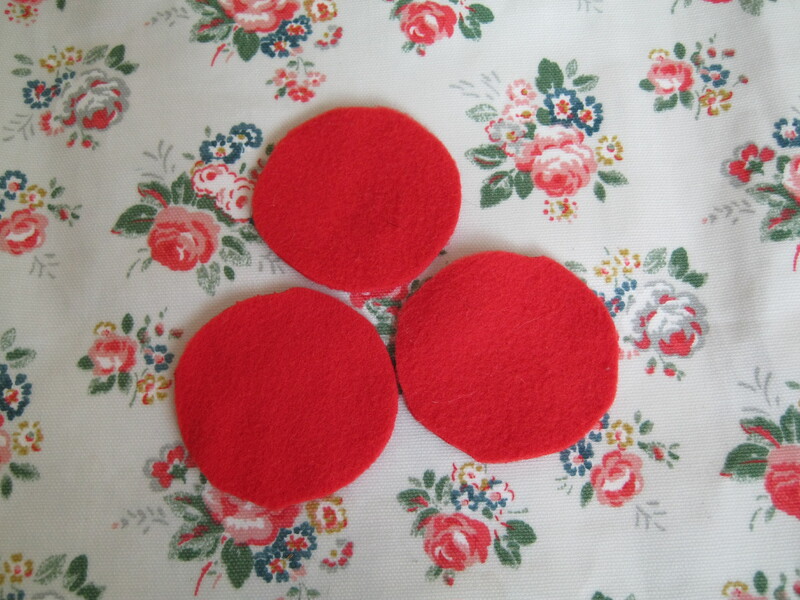 First cut out 6 circles of felt or light fleece (I used light fleece). 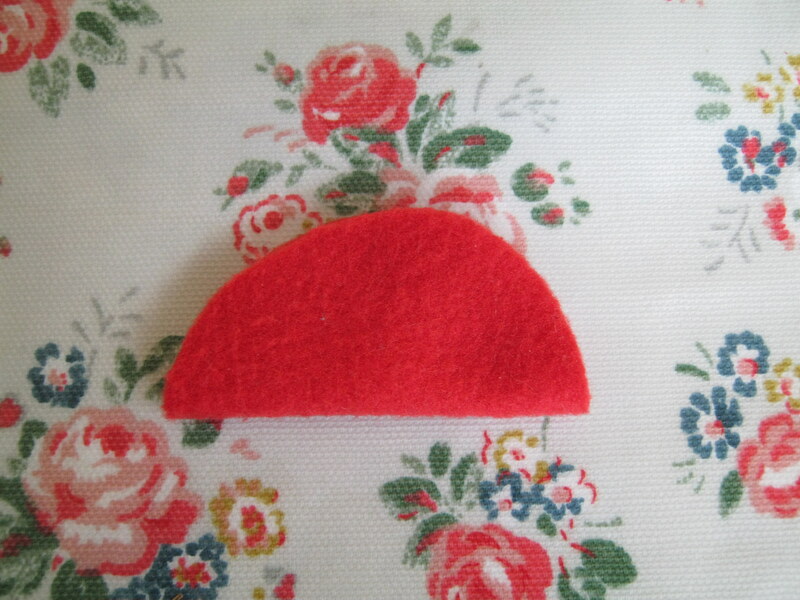 Basically something that won’t fray at the edges and isn’t too thin. Cut them, however big you want your flower to be, I used a pot of moisturiser to draw round! 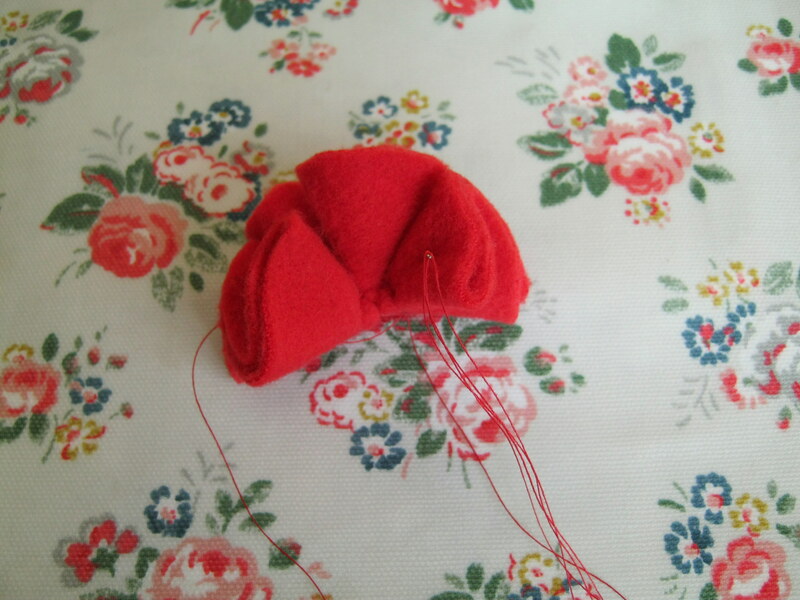 Fold the half circle into roughly thirds, it should look like this (a large ‘S’ shape). 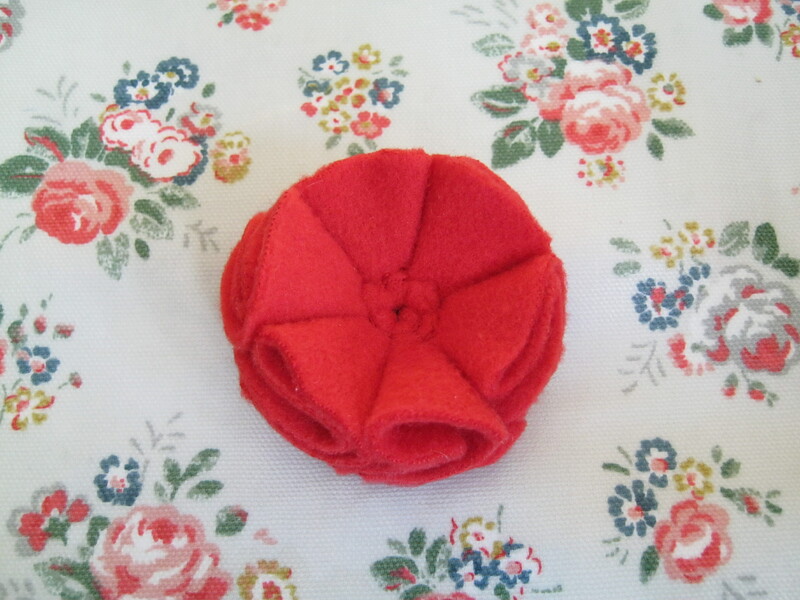 Finally sew a black button into the centre of your flower. So there you are. 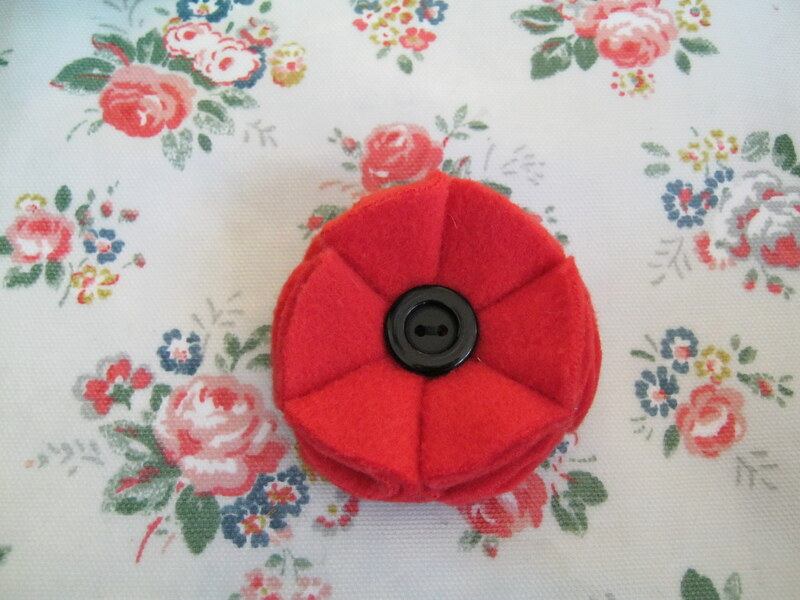 You can now make your own Poppy! 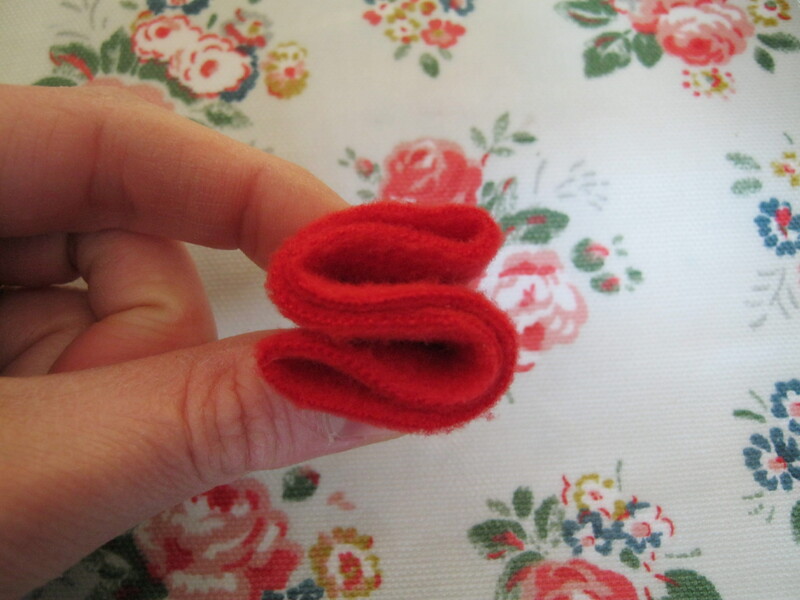 Tomorrow I’ll show you how to do my other Poppy design.